Your have noticed that your small city is lacking a proper haberdashery. Who better to fill that need than you? You love hats! With a wallet full of cash and a newly signed lease, you set out to open your very own store. Unfortunately, a few other individuals have had the same idea and open their own stores. To make matters worse, there’s only one hat maker in town! 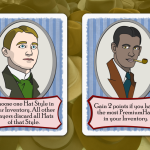 Compete with your opponents to stock your shelves with the best selection of hats while sticking them with stock they won’t be able to sell. 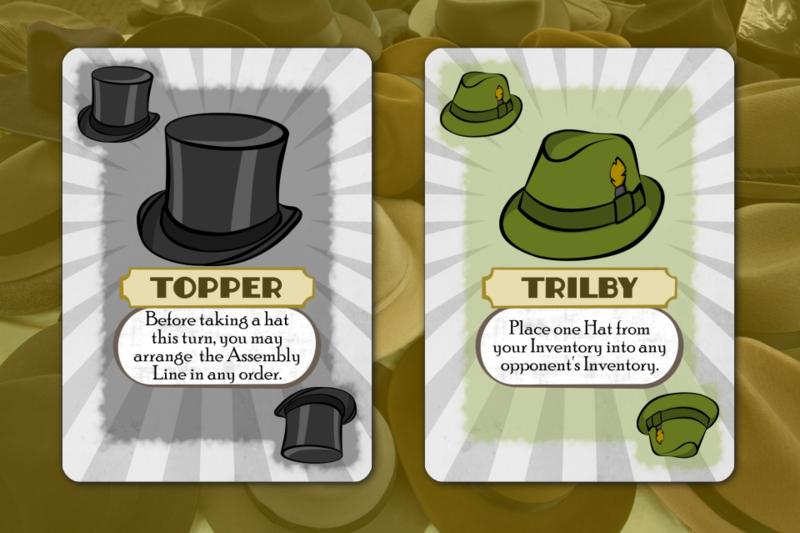 Madder Than a Hatter is a hybrid of take-that and set collection mechanics for 3 or 4 players. 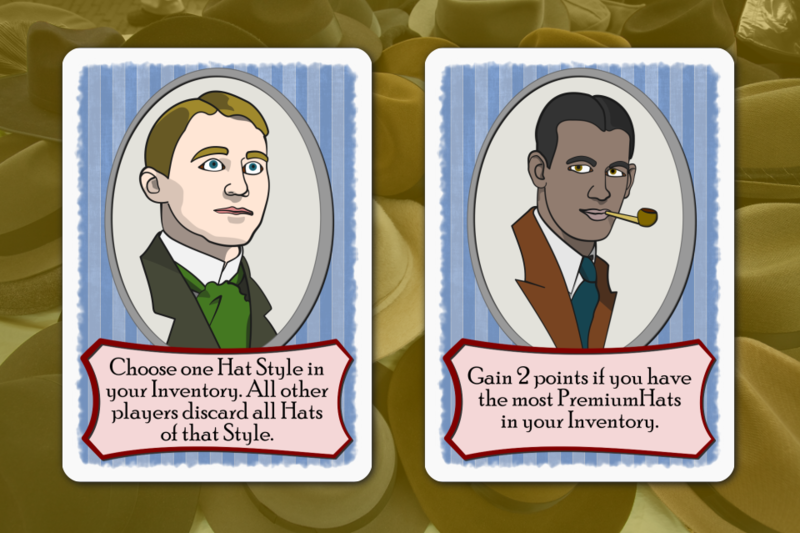 On your turn, you must place one hat into any player’s inventory and take the first hat off of the hat maker’s assembly line. 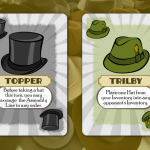 Some hats are premium and allow you to manipulate the player’s inventories or the hatters assembly line. 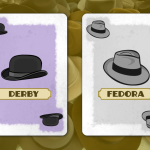 After all hats have been played, points are scored and a new round begins. 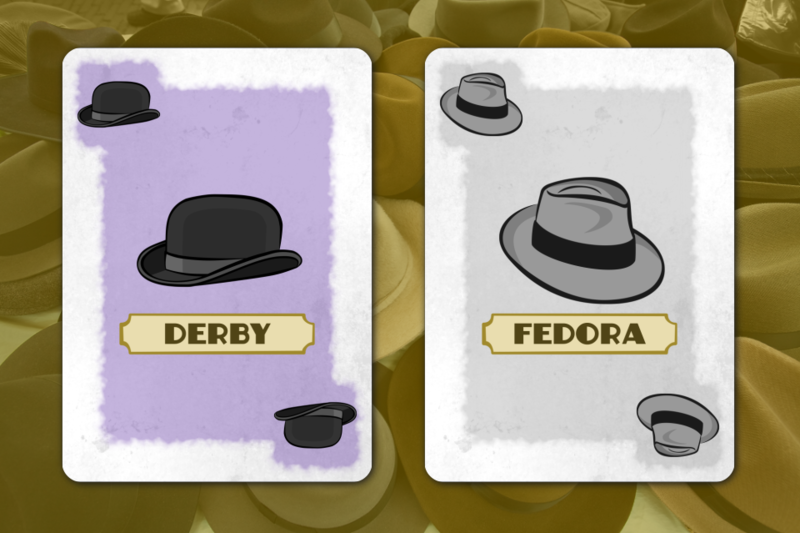 Points are scored for having only one hat of a style, or for having a monopoly on a style. Play a number of rounds equal to the number of players and the most points wins! 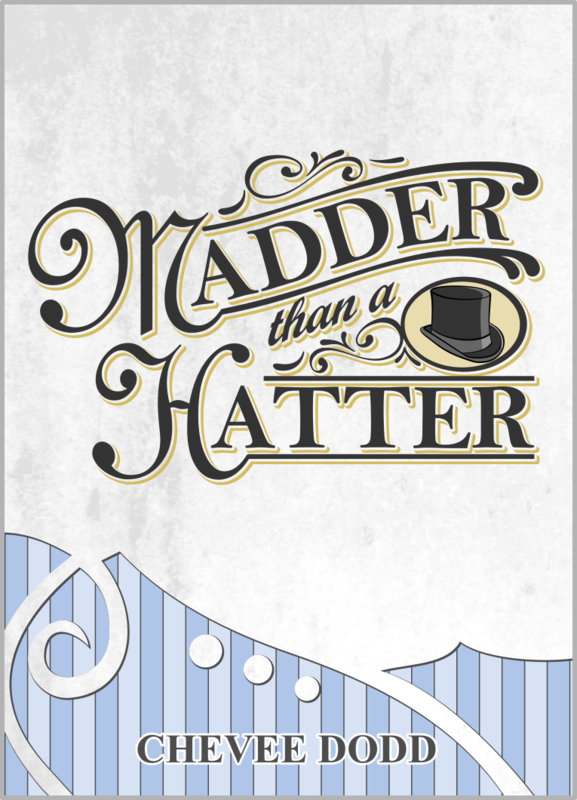 Madder Than a Hatter is a short game designed to be a hybrid of take-that mechanics and a sort of reverse set collection. You score for avoiding sets... and try to keep your opponents from scoring by giving them sets.